I want to introduce you to Marybeth Wehrung of Stars of the Meadow. 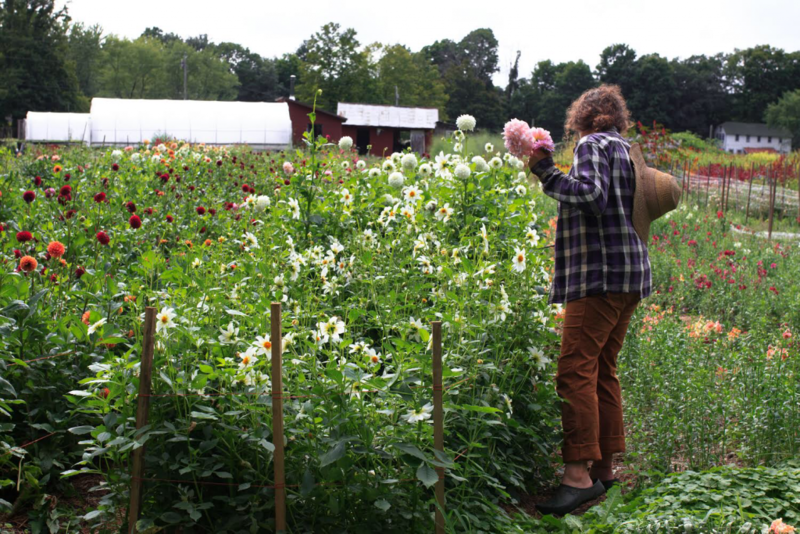 Marybeth is a Hudson River Valley flower farmer that I am privileged to know and work with. 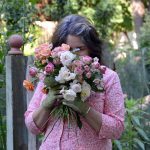 Though this post was challenging for me to write, I’m glad that I did not let my doubtful inner voice hamper me from introducing you to my friend and flower farmer. Farming is not for the light-hearted or physically weak. It requires courage. In my opinion to get up every day no matter how tired the body and still do the grueling work of tending a farm takes courage. 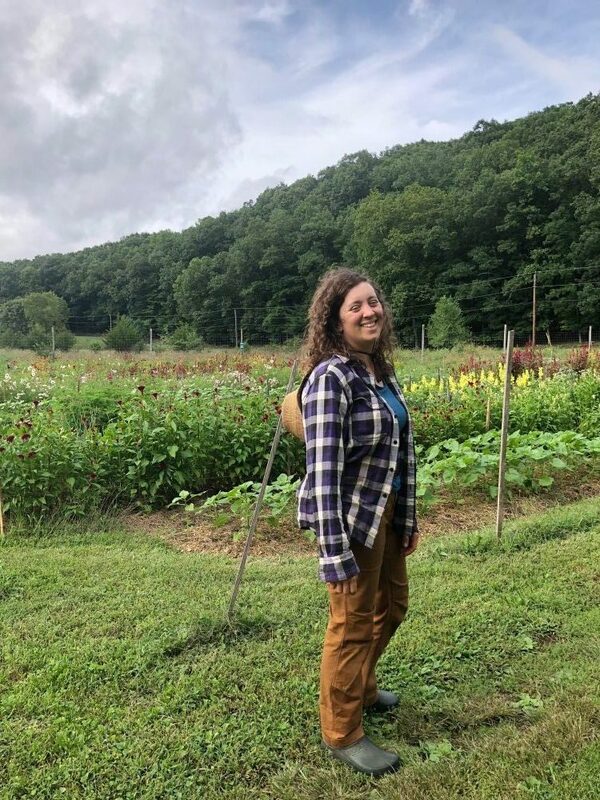 Marybeth, the head and only farmer at Stars of the Meadow a small one-acre flower farm in the Hudson Valley, is who I definitely consider being a woman of achievement. She is a woman with a beautiful smile, genuine sensitivity and an acute sense of humor. Her daily grind begins, like most of us, early each morning. 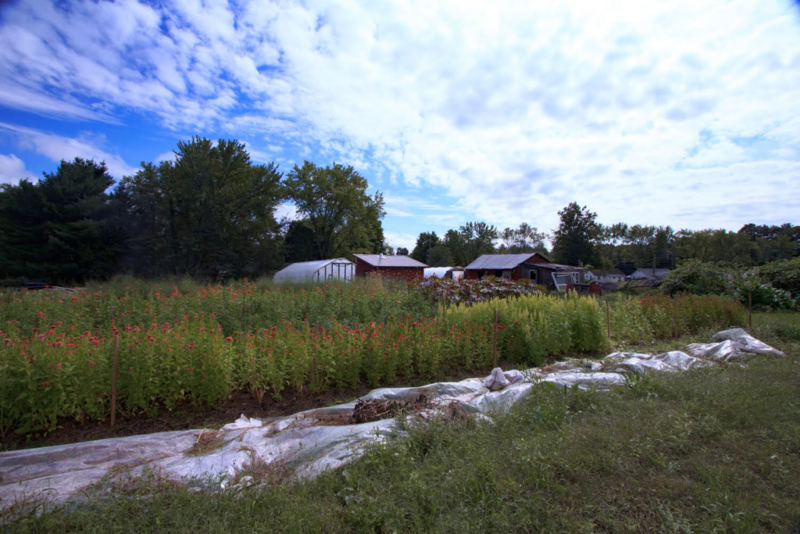 As she drives to work down the winding roads of the beautiful Hudson Valley, her flower crop awaits. And though tired she feels happy. Happy because this is the life she willingly chose and truly loves it. Marybeth and I sat for lunch at a local farm called Sauderskill. We had delightful homemade soups, salads, and pastries. As we chatted, our stories had similarities right off the bat. We talked about how lonely it is for women entrepreneurs. But despite it how exciting it is to be running our own companies. By talking together, we realized that working things out as they come up in our businesses, though stimulating, to say the least, can be stressful when it’s just ourselves calling all the shots. We have known each other for several years now. 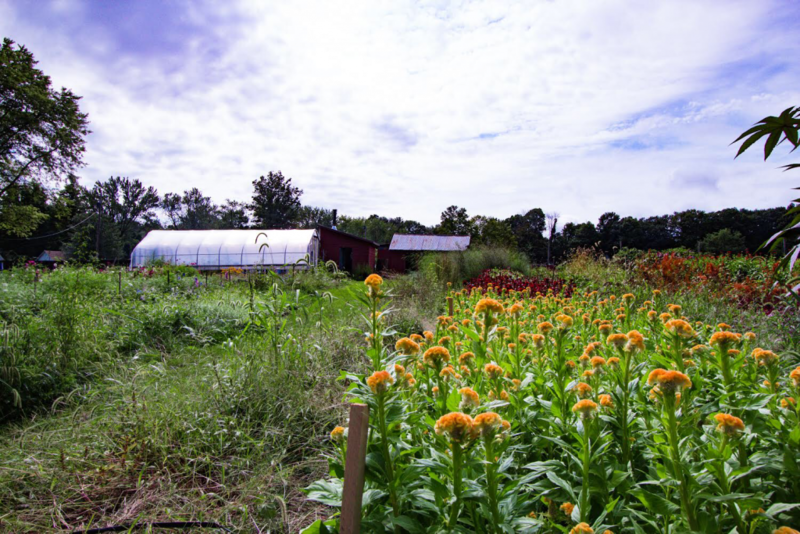 We met at a brainstorming gathering held at Blue Hill at Stone Barns to gather ideas to facilitate the transportation of flowers grown in the vast Hudson Valley to distribute more efficiently to the end market. Sadly the group never took root, and a plan never came to completion. I am still not defeated! 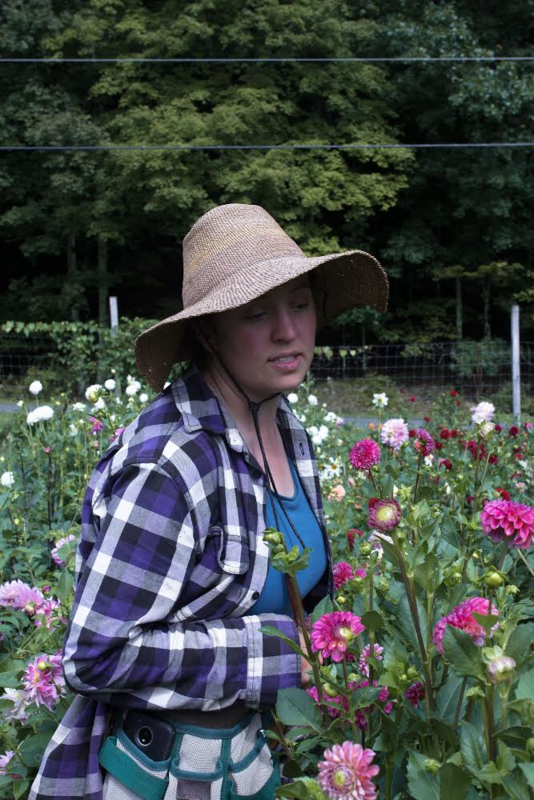 What are some of the hardest challenges faced by being a single woman farmer? 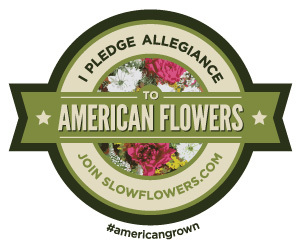 How did you get started growing flowers? I can see she is tired and feeling a bit restless telling her story, but we push on, and she continues to explain how she started in farming. How did you finance your first farm? What are some of the difficulties you’ve encountered? So why do you farm if it is so challenging? How do you know what beautiful flowers to grow? To whom do you sell too? What advice do you have for anyone interested in pursuing a farming career? 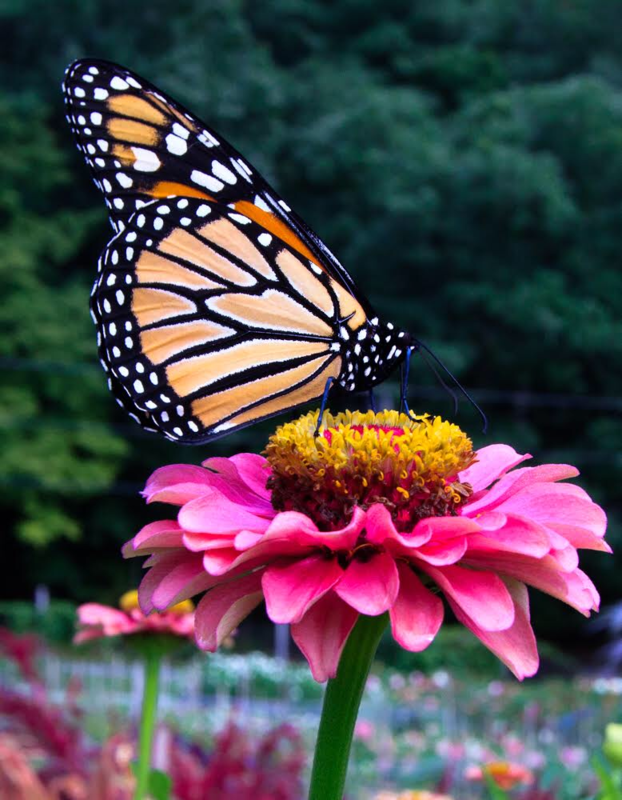 What advice would you offer a home gardener who is interested in growing beautiful flowers? Thank you, Marybeth! It was wonderful visiting with you and sharing your story! 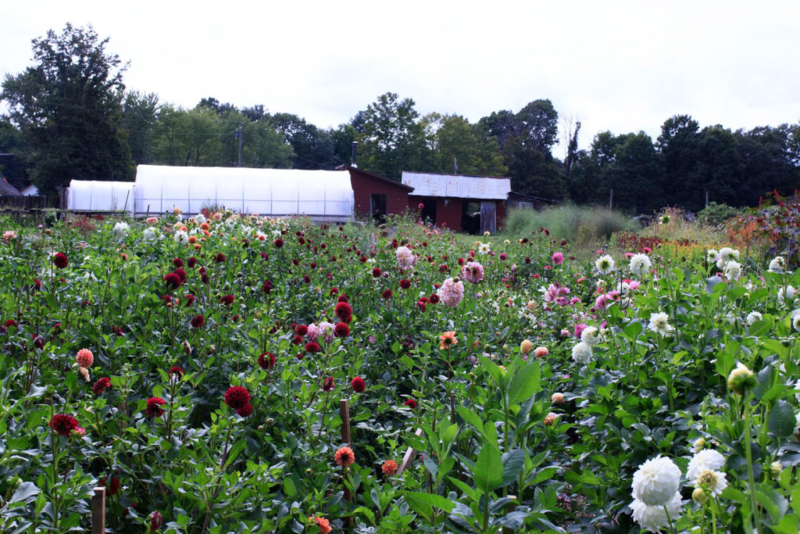 A large part of why I began my business was to create awareness for local farming, and it was by using locally sourced flowers in my wedding work that I was able to develop a sharper knowledge of just how beautiful these flowers are. But more importantly, I wanted to connect with the people, like Marybeth, behind the flowers. 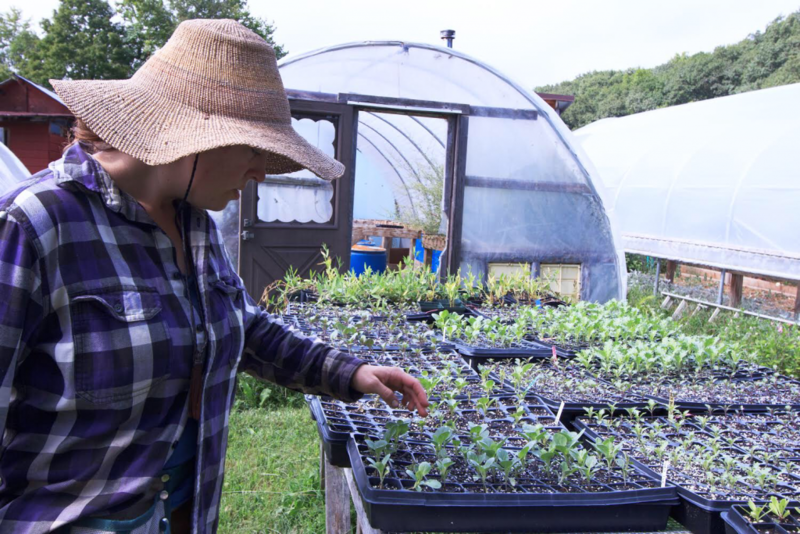 Farmers like Marybeth are passionate about the land and unite at a deeper level with it. I find that learning more about them inspires me to continue using their flowers while keeping jobs right here in our own backyards. I hope you do too. Give Marybeth a follow online and when you see her at Stars of the Meadow or at the Chappaqua Farmers Market be sure to let her know that Gloria sent you!